as i mentioned in my last post, i decided to only bring analogue cameras with me to melbourne, so unfortunately i have to wait until i have time to get both rolls of film developed before i can post those photos, so for now i have the instant ones i took on the trip and some digital photos of some of the things i bought there. my friend and i started our saturday with a lovely breakfast at a little cafe called new york tomato before heading to chapel st to do some shopping. 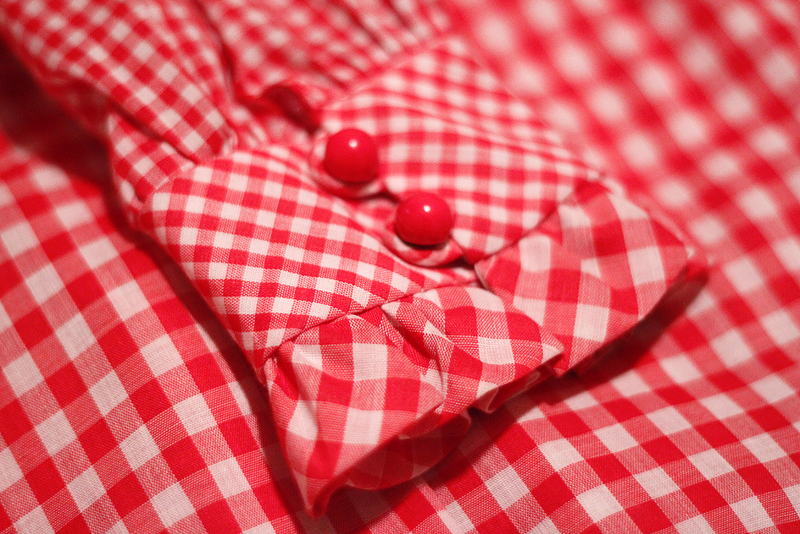 i picked up the most wonderful 1950s red gingham dress at a big antique shop there. it was a bit more than i would normally spend but it was exactly my size and it had the most perfect label in the dress, so i knew it was meant for me! 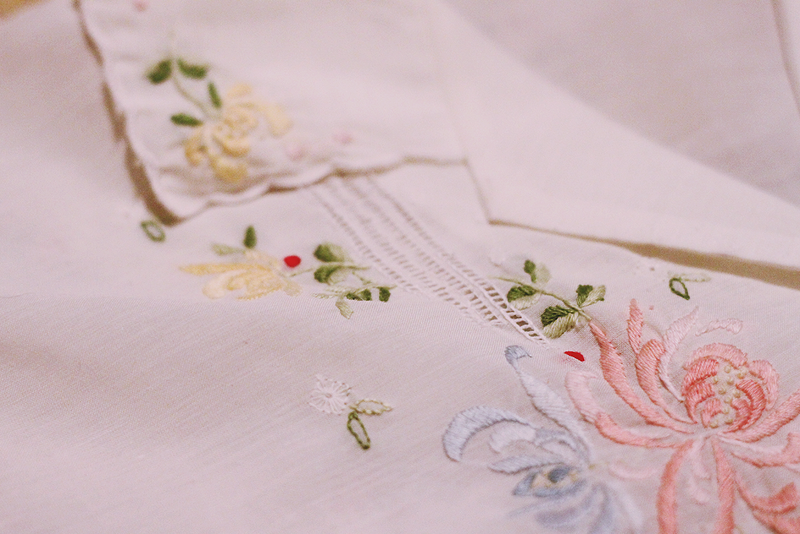 i also bought possibly the prettiest little embroidered blouse i've ever owned, with a scalloped collar and sleeves from the red cross shop. we had lunch at a wonderful cafe/patisserie called luxbite which had a build your own lunch and dessert menu! and while we were waiting for it to be cooked we ate our dessert first; who am i to say no to salted caramel and peanut butter macarons? no one at all, obviously. we had planned to go to a show that night with some other sydney friends who were visiting (but were staying elsewhere) but unfortunately it sold out and we couldn't get in! but elly and i had amazing vegan pastrami burgers for dinner at a nearby pub called the gasometer, so the night wasn't a total loss. above is a photo of me trying on my henry-lee dress at the antique shop, and the skeleton & jesus statue were taken at camberwell markets, which we went to on sunday morning. 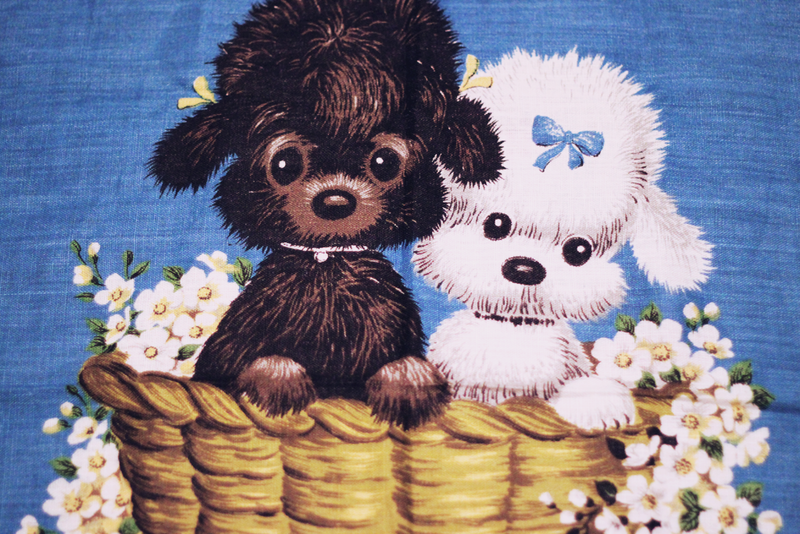 i managed to find a few records there, the adorable little kitten salt & pepper shakers and the puppy tea towel (below). 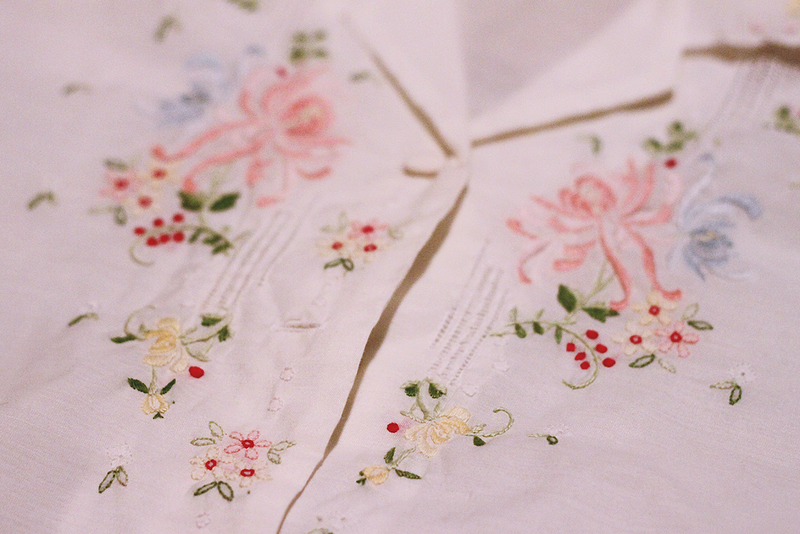 i have no use for tea towels whatsoever as i still live with parents so i don't have my own kitchen to buy things for, but it was so sweet i couldn't leave it behind. that afternoon we headed to brunswick st with all our sydney friends, the highlight of which (apart from a great lunch at a cafe called vegie bar) was surely the HUGE clearit store, which is full of dangerfield, alannah hill, revival, princess highway, etc clothes all at heavily discounted prices. 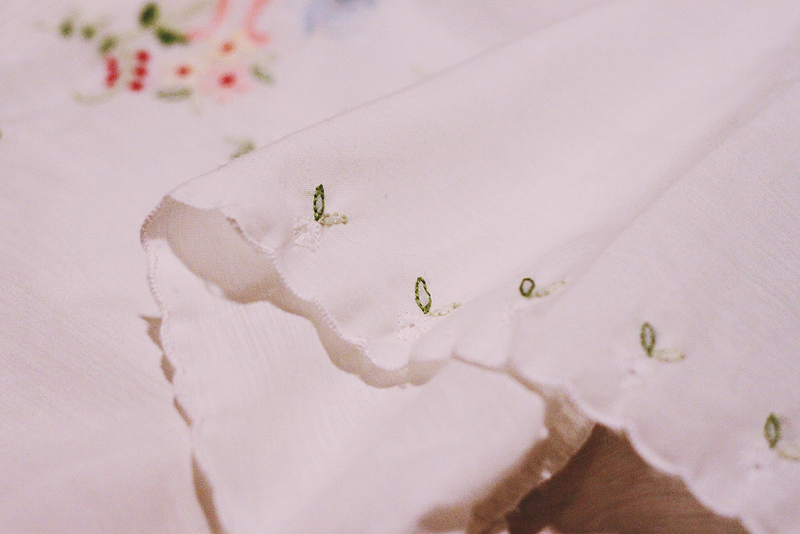 unfortunately i didn't have enough time to look around to my heart's content because i had to catch my flight home, but i did still manage to pick up the above shoes and sailor top as well as a gingham skirt and a dress. it's definitely on my list of places to go for next time though! we have a couple of clearit stores in sydney but none as big as this! 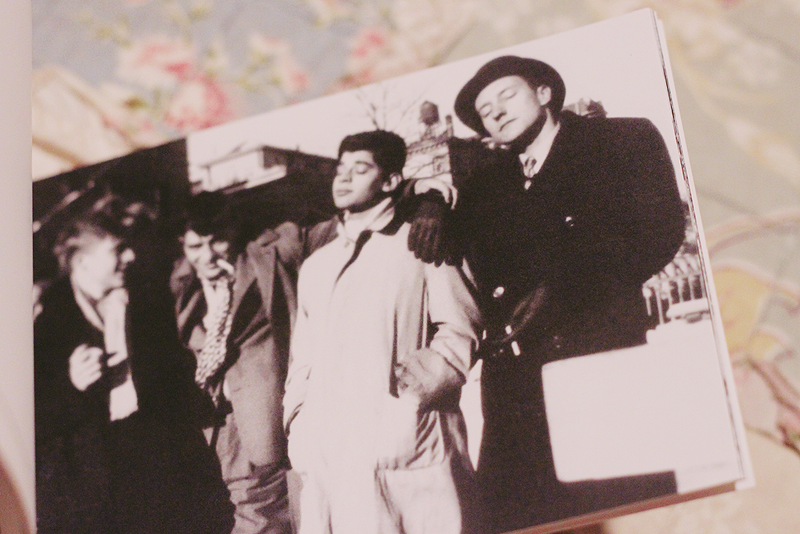 in terms of non-melbourne things, when i first arrived at my friend's house she presented me with an allen ginsberg postcard book that she bought for me at city lights bookshop when she went to san francisco recently, which contains photos of all my favourite authors who i love so much! and when i arrived home on sunday night it was to find that my copy of wish magazine had arrived! it's the pet project of one of my favourite bloggers carrie and her friend lucy, complete with cover and inner sleeve illustrations by the ever lovely caitlin shearer. 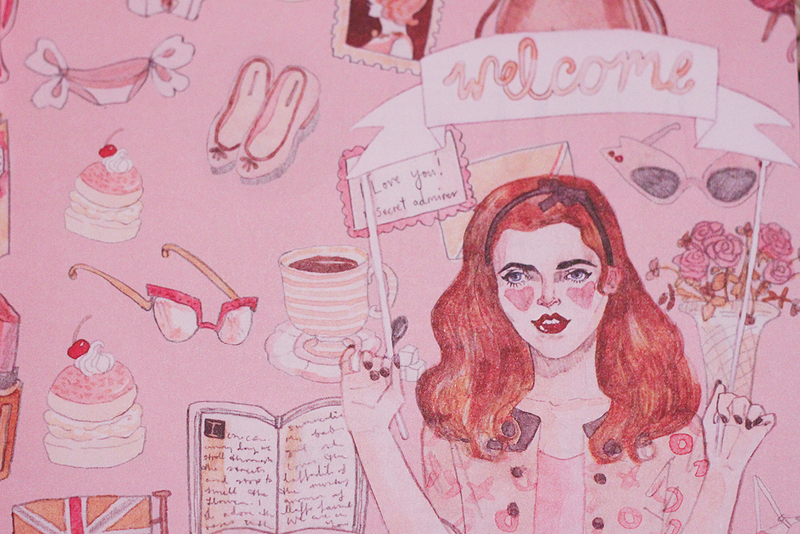 It sounds like you had a lovely time! By the sounds of it, you had a great time in Melbourne! 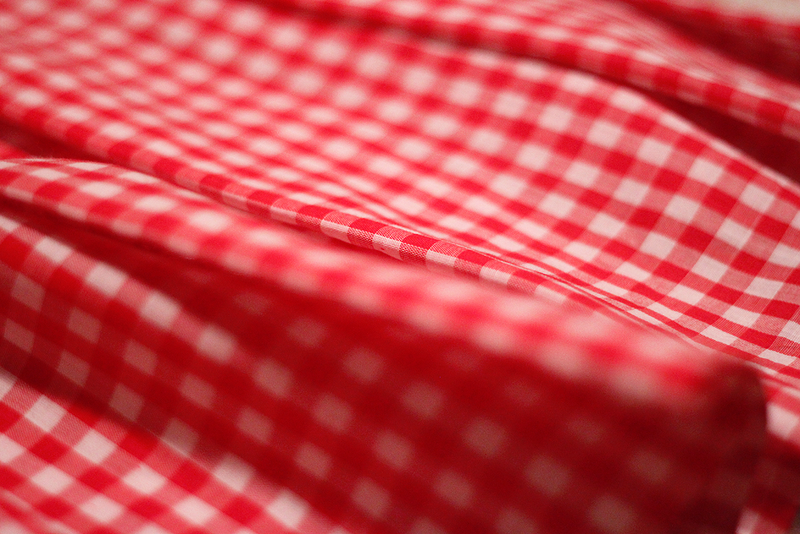 That gingham dress is gorgeous, and the label is so appropriate, definitely fate ;) I love the sound of that cafe with the build your own lunch menu. I didn't go to Brunswick St when I visited Melbourne but I think I will have to next time! you definitely should, for the huge clearit store alone! 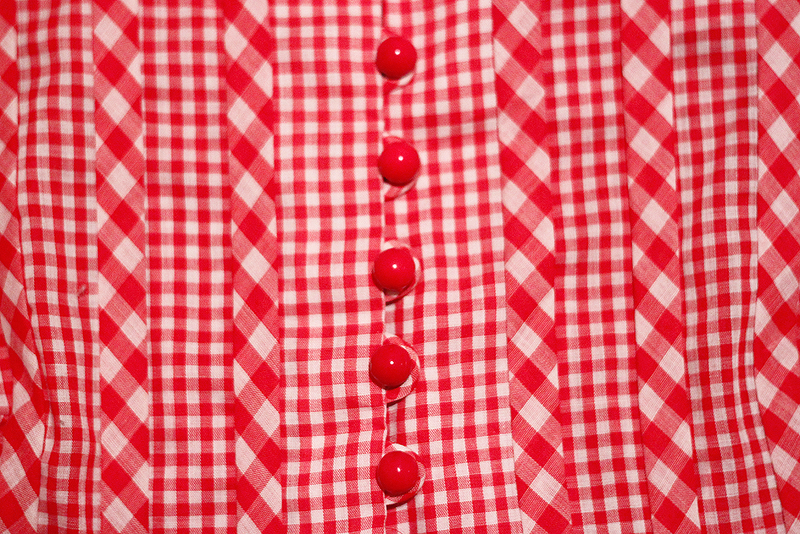 I cannot believe the label in this gingham dress. 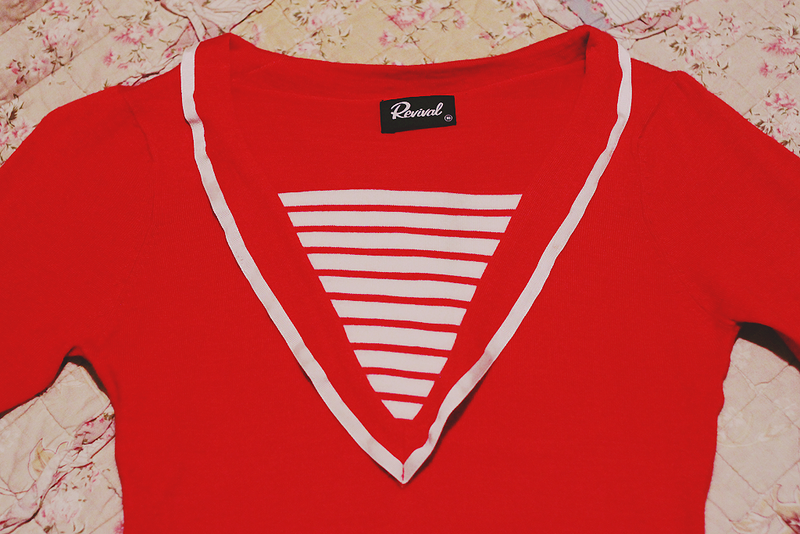 Perfect for you. haha well my friend has a habit of checking the menus at various cafes and restaurants before we go so i know she's always going to make a good choice! i hope you find the burger for you one of these days! 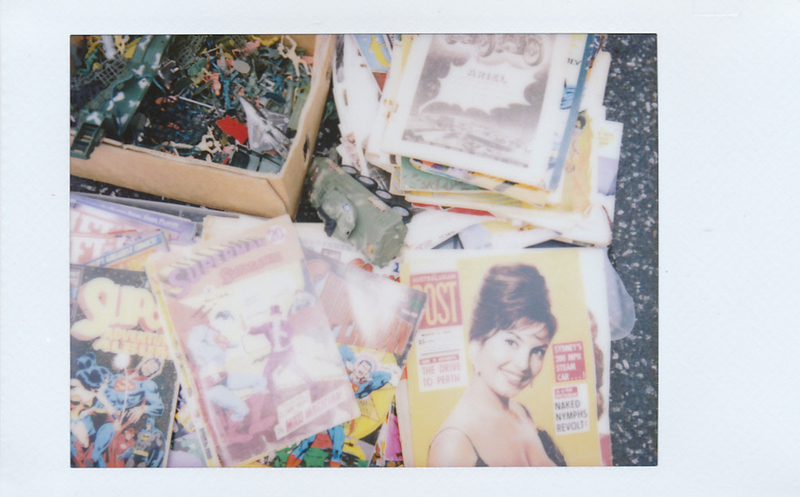 & tell me about it, it's so expensive so i only ever use instax film because it's the only affordable instant film on the market. 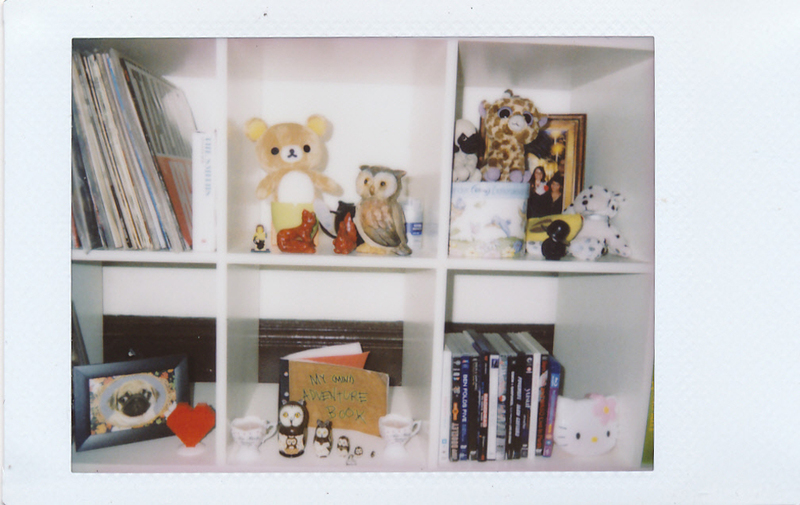 if you haven't got an instax you should definitely look into getting one, they're great if you want polaroids but don't want to pay for them, haha. It looks like you had such a wonderful time! I can't wait to see the other photos you took! That Henry Lee dress couldn't be any more perfect for you, I'm so glad you found it! 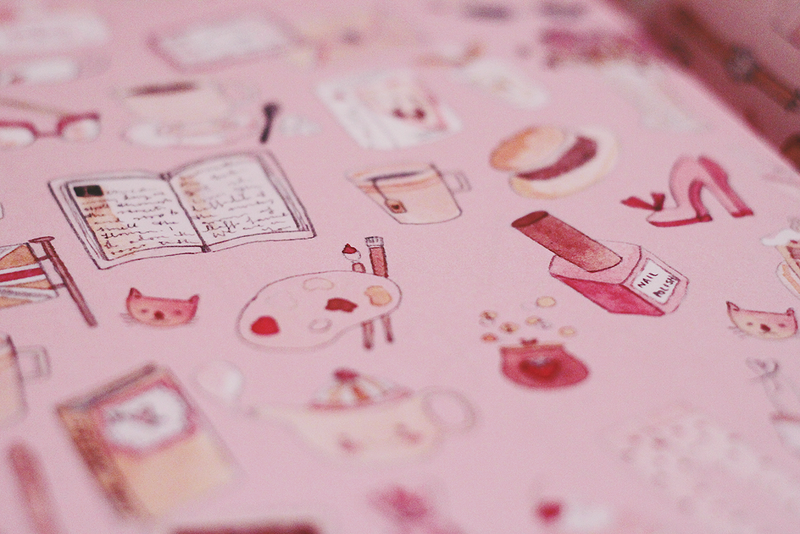 i love these pictures, the little doodles are great! Welcome to Melbourne(and farewell again too). That red dress is adorable. Glad to read you had a memorable trip. did I tell you how much I love you Mrs Cave. always amazingly inspirational lady you are. 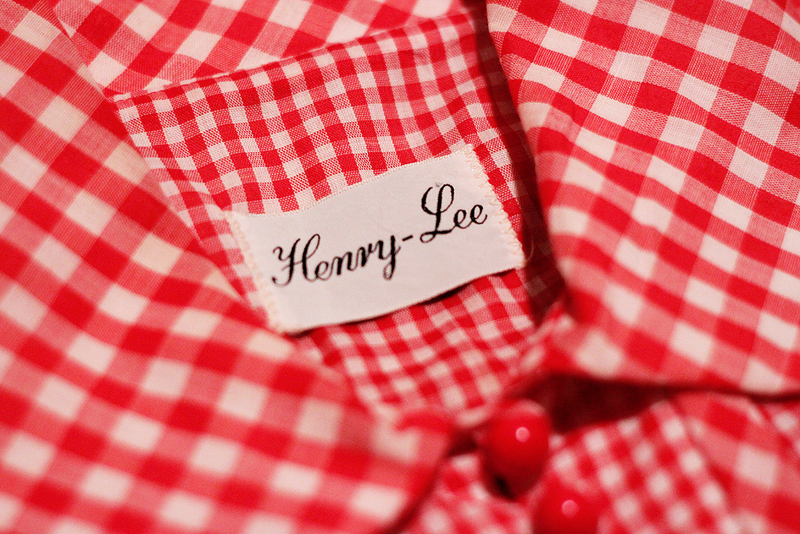 oh the henry lee label on the dress, now that's the hunt! 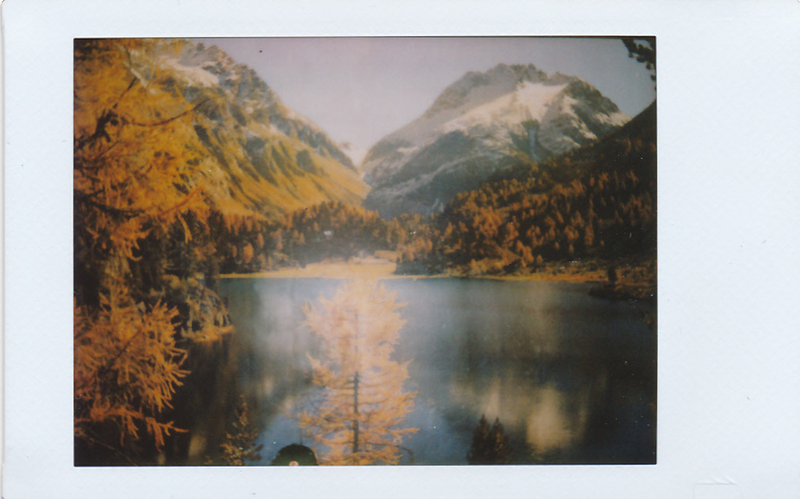 I try shooting with my Diana F+ as much as I can. 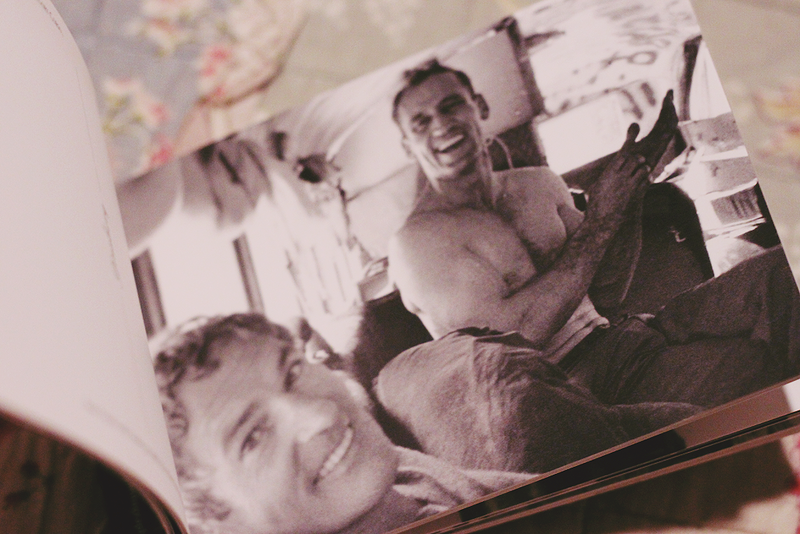 Love these photos! Glad you had a nice visit in Melbourne with Giselle, it looks like you had fun. 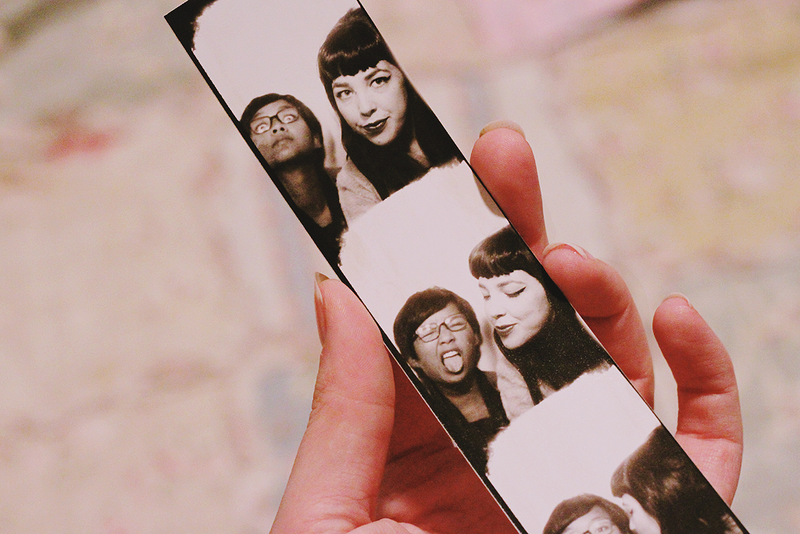 Dying at that first photobooth picture with Giselle's demon stare hahaha! 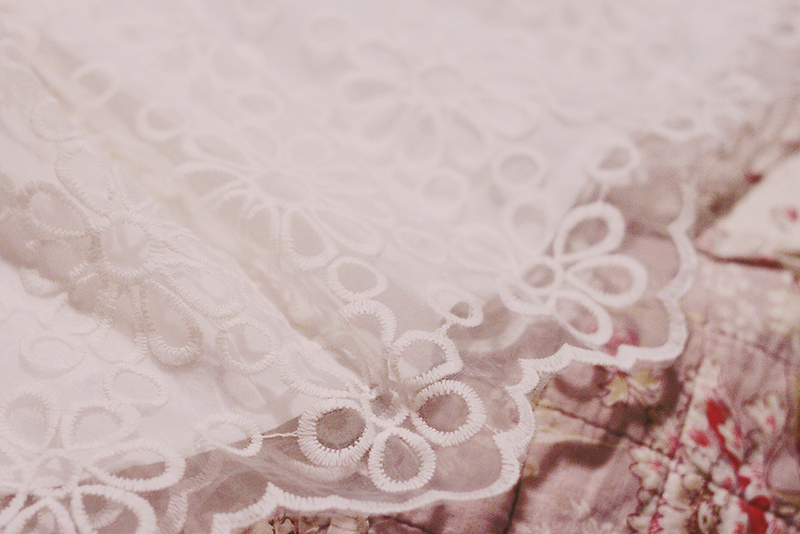 And how amazing is that dress you found, with the label and everything? That is so unbelievable! hahahaha i know! it's amazing. & tell me about it! i literally wouldn't have bought it except for that label but once i saw it i knew i had to! i'll see what i can do! but nope, sadly it's not alannah hill it's just a little cheap one this time, haha. It looks like you had the most amazing time! 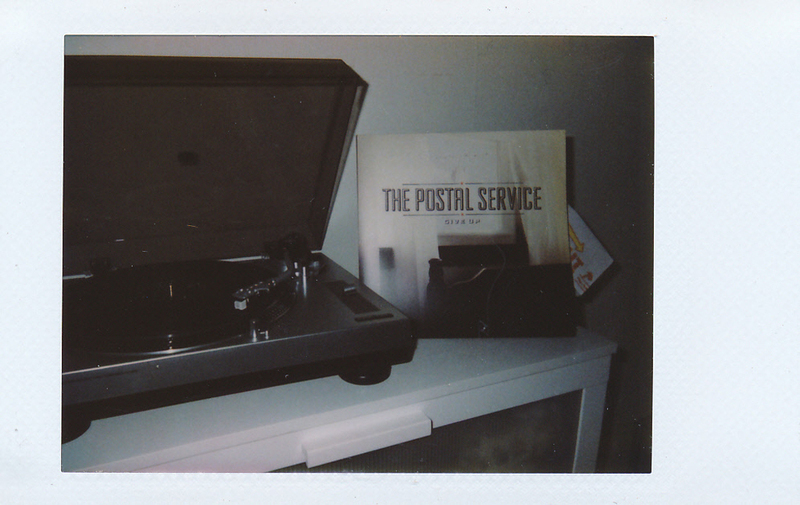 All your polaroids look so fun and nice! And what a great gift from your friend, that's so nice! 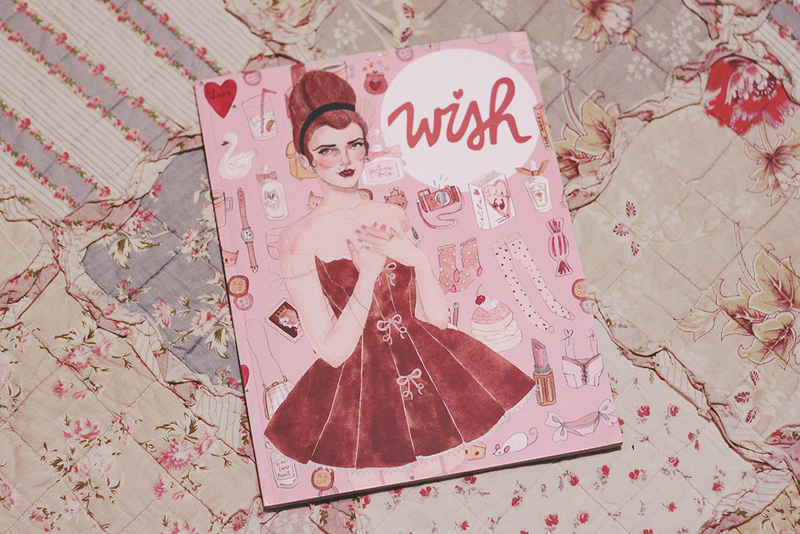 - I might want to get my hands on a copy of Wish magazine myself, I hear it's good. You got a lot of adorable things! 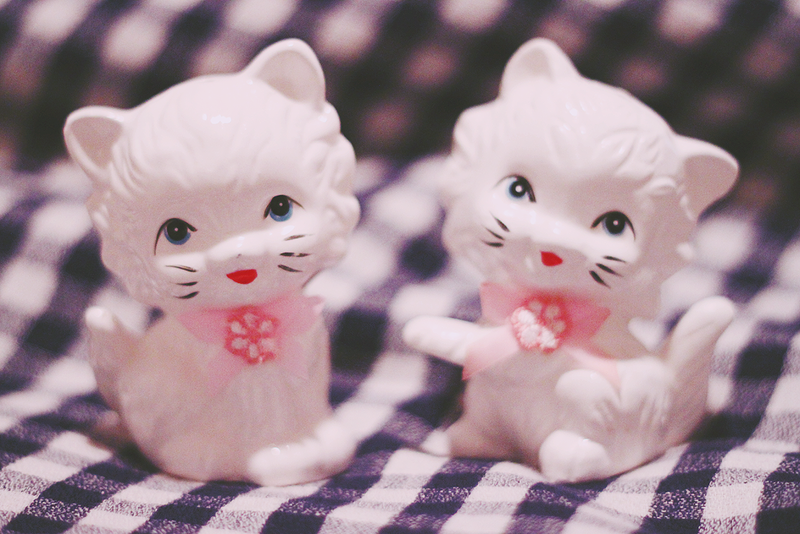 I especially love the kitten figurines, tea towel and that gingham dress! 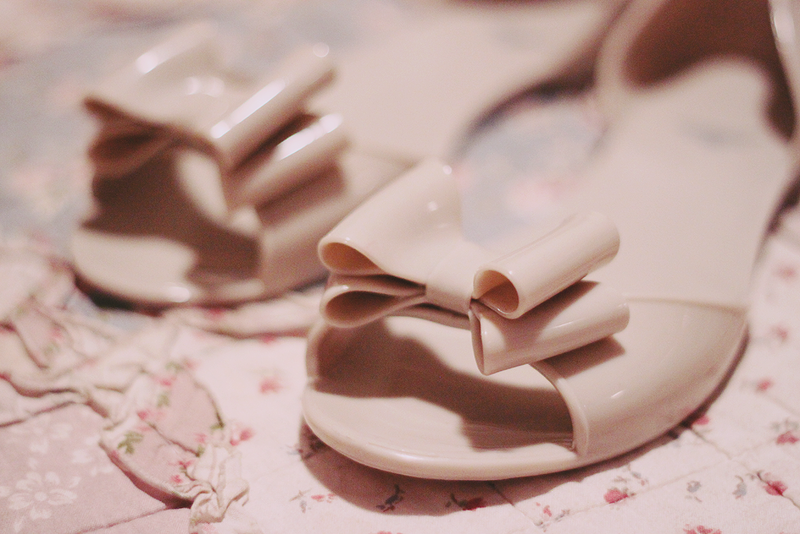 SO so pretty! 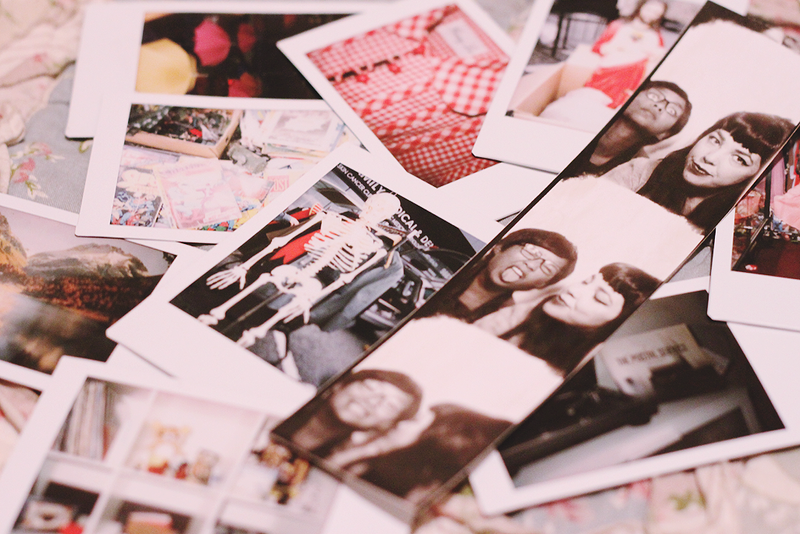 Can't wait to see your analog photos! It sounds like a really cool time in Melbourne. I will check out some of the places, when we next go. Can't wait to see the pics from the analogue cam.